An all-natural organic product such as noni juice can be used for healthy skincare. Whether you have acne, a bad sunburn, or dermatographism, the use of this juice can help. Many people that have a variety of skin care problems are not fully comfortable with using aggressive artificial chemical products. However, depending on the skin condition, these more aggressive products may sometimes be required. This can only be determined after consultation with a dermatologist. Quite often, these chemical products do result in many side effects for the user. Therefore, many individuals often experiment with all natural or organic skin care products to help alleviate skin care problems or to simply keep their skin healthy. Noni fruit juice is one such product. NONI JUICE is a product that many people are only starting to hear about. This juice is made from the tropically grown noni fruit (also known as morinda citrifolia). Noni fruit is primarily grown in many of the islands of the South Pacific region such as Tahiti and French Polynesia. When the fruit is ripe, it is green in color, almost translucent, and has bumpy skin. Another interesting trait for this fruit is that it gives off a very unpleasant odor when it is ripe. What makes this fruit juice so special? Noni fruit and the juice have been valuable all-natural products for many years for the natives that have populated the South Pacific islands. Native healers used and still use the entire plant to provide a wide range of therapeutic benefits. For example, the roots of the plant are used to control fevers and the leaves are used to help heal wounds on the skin. How does this fruit help in the wellness of individuals? There has been a lot of anecdotal evidence about the benefit of noni juice and some scientific studies as well. Some are skeptical about the benefits it provides, whereas others swear by it. A large percentage of people taking this juice regularly have stated that it has helped their condition to some degree. Modern research has shown that noni juice facilitates cellular healing and this is the principal reason why this all-natural product can be used to help alleviate the problems associated with a wide variety of health conditions. Noni juice contains a variety of powerful antioxidants. Antioxidants are very useful because they prevent free radicals from damaging cells. They help various body systems such as the immune, circulatory, digestive, metabolic, and nervous system. Anti-oxidants are also very useful in preventing skin aging and skin damage. They are very effective anti-aging compounds. Noni juice also helps create xeronine in the body, which is a very effective agent in repairing damaged cells. What ailments can be relieved with noni juice? enhancement of the body’s immune system and therefore less diseases, colds, flu, etc. For information on noni juice benefits for the skin visit the noni skin care page. 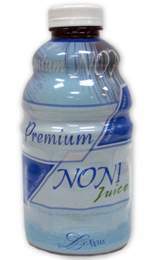 If you are looking to try an all-natural authentic noni fruit juice, then consider using Lexxus Premium Noni Juice. 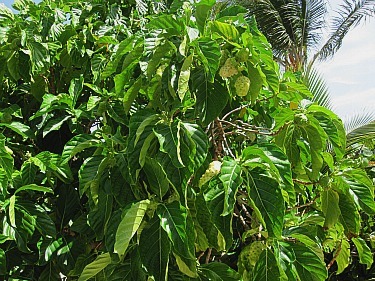 Pacific Islanders have enjoyed the health benefits of the Noni fruit for thousands of years. Naturally rich in vitamins, minerals, enzymes, antioxidants, phytonutrients, and bioflavonoids, Noni fruit works at a cellular level in the body to support the natural function of the immune system. Here are a few reasons why this product is superior to others. Premium Noni Fruit Juice is certified organic by NASAA, which is the most professional and efficient organic certifier in the Asia Pacific region. The noni fruit used in the juice is grown and harvested in an untreated, pure, and unpolluted environment - the famed Tahitian Ring of the South Pacific. It is the furthest from any corrupting influence, the trade winds blow clean air, and the soil is rich from tropical vegetation and the minerals of volcanic activity. Lexxus is proud to collaborate in a ‘‘chief to chief’’ quality juicing process. The fruit is ordered with a call to a Samoan Chief, from a plantation that has been in the Chief’s family for centuries –– ‘‘chief to chief’’ quality. The fruit is harvested, aged, and flash pasteurized ONCE to maintain the purity, effectiveness, flavor and highest quality of noni fruit possible. Premium Noni is triple charged using all parts of the noni plant such as the fruit, stems, and leaves, so that maximum benefits can be obtained all in one juice. The fruit is hand-squeezed, then sliced and dried along with stems, leaves and roots to create the most effective, highest-quality juice available on the market. Lexxus premium juice captures all the benefits that the noni plant can provide such as: lowering high blood pressure, fighting cancer, reducing arthritis symptoms, relieving pain, aiding the digestive track, supporting emotional and mental wellness, aid for various skin conditions, etc. This juice tastes better than others. 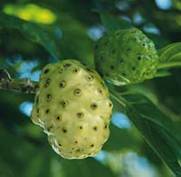 The ripe noni fruit has a foul odor and very bad taste. In order to make the juice more palatable, pineapple and Concord grape juices are added. The addition of these juices also adds even more anti-oxidants to the already potent juice. If you are interested in noni juice products please visit: other noni products.